We will cover everything that visitors to Cappadocia want to know from restaurants and shopping to key sites and activities to history and culture as well as helpful safety information and travel instructions. You can expect new posts at least 3 times per month so go ahead and subscribe so you can receive each new post in your email inbox or RSS feed. We have found that most visitors arrive via Istanbul and stay 2 or 3 days in Cappadocia before either returning to Istanbul or moving on to Antaly, Pamukkale, or Izmir so many of the posts will be written with this in mind. At the same time we recognize that a substantial percentage of guests do not fit within this mold, and we hope you will find what you need here as well. Please do not hesitate to shoot us an email or leave a comment with your questions. We will do our best to reply within 48 hours. 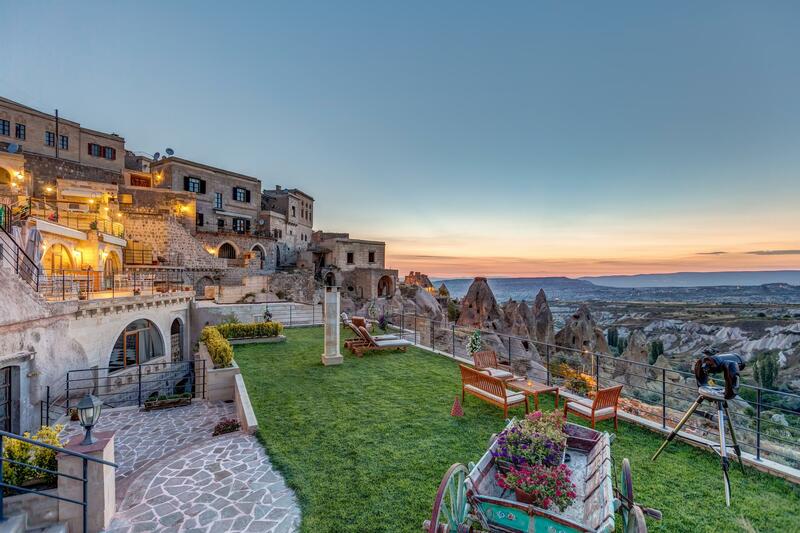 And lastly we would be remiss if we did not express our belief that the right hotel does make a difference, and in Cappadocia, a boutique hotel, and even better a cave hotel, is the place to stay. This is the kind of experience you cannot have anywhere else in the world. Please take the time to check out Taşkonaklar Hotel, Cappadocia. We believe you will not be disappointed. Wherever you choose to stay, we sincerely offer you our best wishes for a wonderful visit to this unique region.